July 18, 2017 – Hyatt Carmel Highlands, the acclaimed northern California hotel overlooking the Big Sur Coast with just 48 luxuriously appointed guestrooms, announced the completion of one of the most exciting transformations in its 100-year history. Originally opened as the Highlands Inn, the hotel now features a remodeled lobby and redesigned guest rooms, restaurant and lounge. The hotel will host a celebration in late July to commemorate the historic property’s centennial anniversary. Newly redesigned guestrooms, inclusive of 10 suites, with updated furnishings, décor, color schemes, new heating and the addition of air conditioning. The refreshed look draws upon the hotel’s upscale coastal ambience. The hotel’s gourmet restaurant California Market at Pacific’s Edge offers an expanded 40-seat, 1,200-square-foot patio and an exciting new menu. The addition of a glass-railed outdoor dining deck amplifies the venue’s awe-inspiring vistas. New seating arrangements include a large communal table made of a fallen Monterey cypress tree trunk and high-top tables in select areas to ensure patrons enjoy unencumbered views. The space is tailored, yet comfortable, for that casual breakfast or lunch, as well as the relaxing celebratory dinner overlooking a spectacular sunset. The popular Sunset Lounge has been reconfigured to provide guests with panoramic vistas of the stunning coastline. New bar menus offer delectable tapas and creative hand-crafted cocktails, while local musicians play live jazz and soul music each Thursday, Friday and Saturday night. The hotel’s lobby area features new furnishings and living room-style components, inviting private parties of more than 100 guests to now enjoy the refreshed area. On Friday, July 28, Hyatt Carmel Highlands will kick off its centennial festivities with the exclusive Local Legends event that celebrates Monterey County’s acclaimed wines and winemakers and the renowned chefs who have made the area a foodie’s paradise. Limited seating will be available. For more information on this event and other winemaker dinners at the hotel, click here. The hotel’s redesigned restaurant and Sunset Lounge reflect a nod to the rugged local coastline. As guests arrive, they are greeted by sculptural elements of flying coastal birds, framing a breathtaking view of the Big Sur coast. Timber frames and metal strappings that were once used to hold back the coastal cliff sides are also represented throughout the design. Blown-glass pendant lights hang above the bar, and sleek marble countertops create a perfect nook to share crafted artisanal cocktails, award-winning wines, and great conversation. As part of the restaurant’s transformation, chef de cuisine Francisco Castellon has devised a tantalizing menu of American classics with a twist, including popular dishes from previous menus and a number of new selections. Breakfast: Dungeness crab & avocado eggs benedict; maple walnut granola with Oxnard strawberries, Strauss Creamery yogurt and local honey. Lunch: Baja fish tacos featuring fresh locally caught fish topped with shaved cabbage and chipotle aioli; chicken sofrito empanadas withSanta Barbara green olives, capers and smoked paprika aioli; and sandwich of vine ripened tomatoes, applewood smoked bacon, local arugula, and California aged white cheddar. Dinner: Appetizer of heirloom tomatoes, burrata mozzarella, opal basil blossoms and sherry vinegar; signature entrees, such as merlot-glazed short ribs with roasted baby heirloom carrots, kale and buttermilk potato puree and hook and line-caught sea bass with almond gazpacho, grapes, basil oil, and sun choke chips. Seasonal rates at Hyatt Carmel Highlands start from $529 per night. The Bed and Breakfast package starts at $540 per night. For more information and reservations, visit www.hyattcarmelhighlands.com. 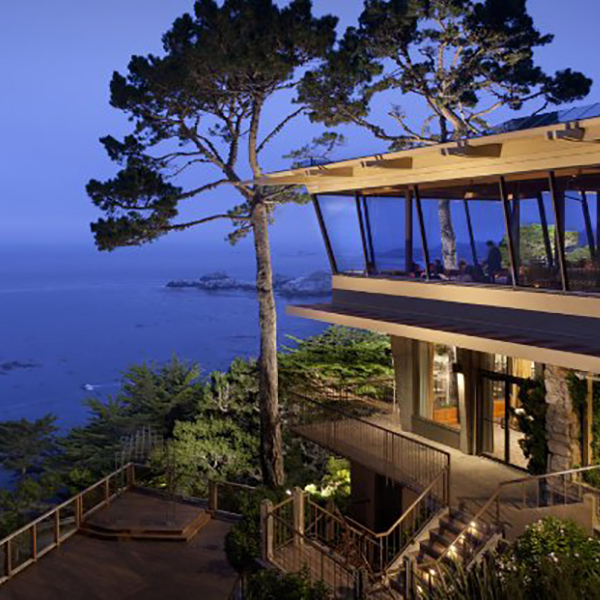 Adjacent to the property is the Hyatt Residence Club Carmel, Highlands Inn, which includes 94 one- and two-bedroom units each with wood-burning fireplace, private balcony, and ocean or garden view. For more information, visit www.hyattresidenceclub.com. Perched on the hillside of the Carmel Highlands with breathtaking views of the Pacific Ocean, Hyatt Carmel Highlands combines true Carmel luxury with an approachable and sophisticated spirit. A haven for artists and discerning travelers since its opening in 1917 as the Highland Inn, Hyatt Carmel Highlands features 48 luxuriously renovated guestrooms, including 11 suites, 32 Ocean View rooms and 5 Garden View rooms. Situated only four miles from downtown Carmel, Hyatt Carmel Highlands’ idyllic setting and personalized service has attracted families, weddings, honeymooners and privileged travelers for a century. Hyatt Carmel Highlands has been recognized among the world’s finest hotels as part of Condé Nast Traveler’s Gold List and Travel + Leisure’s “T+L 500” World’s Best Hotels. 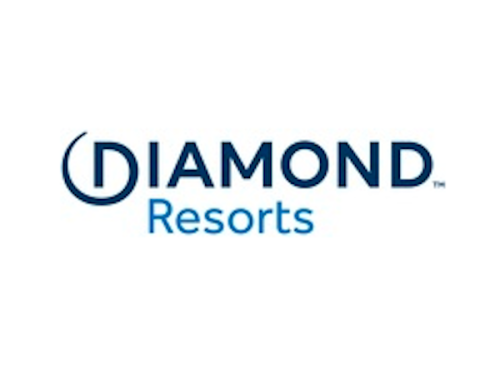 Hyatt Vacation Ownership (HVO) has been developing, marketing, and managing shared ownership resorts in diverse vacation destinations since 1994. Headquartered in St. Petersburg, Florida, HVO operates two vacation ownership membership programs: Hyatt Residence Club(HRC) and Hyatt Residence Club Portfolio Program. The more than 30,000 members have access to 16 HRC resorts, along with hundreds of Hyatt hotels and resorts worldwide via the World of Hyatt guest loyalty program. All members also have exchange privileges through Interval International’s network of more than 3,000 resorts in over 80 countries, as well as additional benefits and services. HVO is an operating business of ILG, Inc. (Nasdaq: ILG), a leading provider of professionally delivered vacation experiences. ILG and its subsidiaries independently own and manage the Hyatt Residence Club Program and the Hyatt Residence Club Portfolio Program, and use the Hyatt Vacation Ownership name and other Hyatt marks under license from affiliates of Hyatt Hotels Corporation.